Andryte has been in the healing arts since 2004, and loves working with all walks of life in order to inspire and enhance well-being on all levels. Andryte is particularly fond of blending yogic and Traditional Chinese Medicine approaches to health with bodywork. Cultivating this lifestyle herself for over fifteen years, she enjoys returning to the beginners’ mind and seeks to find the teacher in each person she meets. 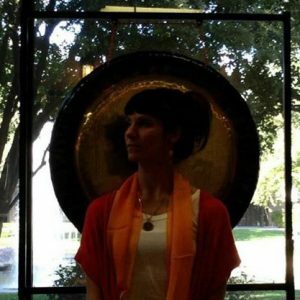 Andryte has offered her varied styles to individuals and groups at events, festivals, conferences, offices, retreats, and her home studio space. She enjoys spending time gardening and listening to the sounds of Nature. Kaur Wellness LLC has been in operation since the Spring of 2011. During the Spring of 2014 Kaur Wellness has partnered up with David Avatara who offers Reiki sessions, workshops, and attunements as well as Oracle Readings for personal and spiritual growth. Often our clients ask us to work as a team to provide the best care options for each individual. Book an appointment directly through our website, or email Andryte Kaur directly.